Words can't ever totally express how much someone means to us, but language can still provide comfort, hope, and even inspiration following the death of a loved one. Here is a select collection of quotes that will surely resonate if you've experienced the death, dying, and grief caused by the loss of a grandmother or grandfather. You might find these quotes helpful when writing a eulogy or condolence letter, particularly if you're having trouble finding the right words and need inspiration. "Grandpas always have time for you when everyone else is too busy." "A house needs a grandma in it." "Perfect love sometimes does not come until the first grandchild." 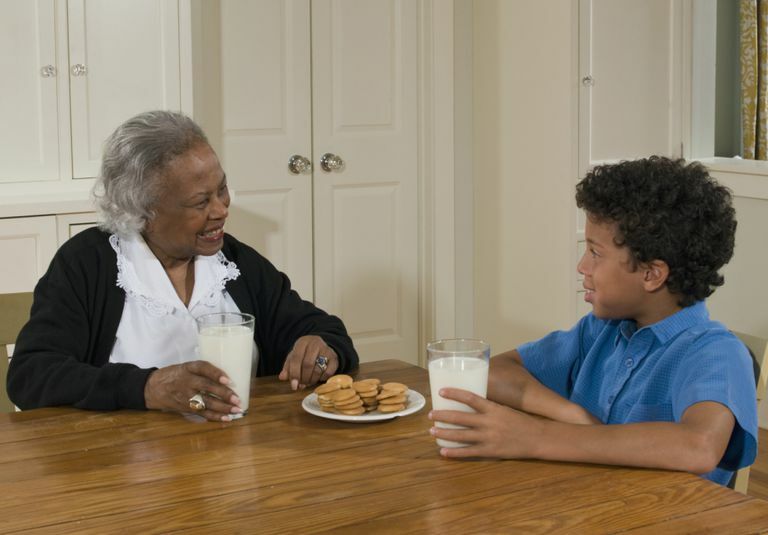 "When grandparents enter the door, discipline flies out the window." "I don't know who my grandfather was. I am much more concerned to know what his grandson will be." "We should all have one person who knows how to bless us despite the evidence. Grandmother was that person to me." "Because [grandparents] are usually free to love and guide and befriend the young without having to take daily responsibility for them, they can often reach out past pride and fear of failure and close the space between generations." "Grandmas never run out of hugs or cookies." "I loved their home. Everything smelled older, worn but safe; the food aroma had baked itself into the furniture." "Grandmother–grandchild relationships are simple. Grandmas are short on criticism and long on love." "Everyone needs to have access both to grandparents and grandchildren in order to be a full human being." "Young people need something stable to hang on to—a culture connection, a sense of their own past, a hope for their own future. Most of all, they need what grandparents can give them."